What is the Difference Between SMILE and LASIK? The ReLEx® SMILE laser eye surgery procedure is the newest advance in laser vision correction procedure. SMILE is a minimally invasive, one step surgery for the correction of nearsightedness (Myopia) and astigmatism. SMILE stands for ‘Small Incision Lenticule Extraction’. 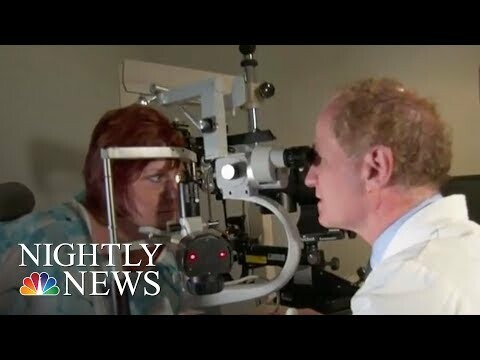 SMILE has become popular both internationally and in the US because it combines the safety of traditional vision correction techniques with even greater comfort and potentially greater precision. SMILE is a bladeless, one step, one laser, minimally invasive procedure. SMILE corrects vision by using a computer-guided, highly focused laser to create a small keyhole incision in the side of your cornea. Your surgeon will then create a lenticule (a small piece of corneal tissue) which is then removed through this incision. This is what reshapes the cornea and corrects your vision. LASIK is a two-step procedure: Your surgeon will first create a small flap on the surface of your cornea and then reshape the cornea using a femtosecond laser in order to correct your vision. By comparison, SMILE is a one-step procedure and unlike LASIK, there is no flap created during a SMILE procedure. Being a flapless procedure is one of the biggest differentiators and benefits of SMILE vs. LASIK. Because no flap is created, SMILE has no risks for flap-related complications (which are the slight risks primarily associated with LASIK). The tiny incision created to correct your vision during a SMILE procedure is only about 3mm. During a LASIK procedure, the flap created is about 20mm in circumference. Dry eye syndrome is a common side-effect of LASIK and because of this, many patients who have a history of dry-eye syndrome find that LASIK may not be the best choice for them. Initial studies have shown SMILE has less incidence of dry eye because of the increased corneal stability the minimally-invasive procedure allows. Dr. Paul Dougherty is among the nation’s most experienced laser and lens-based vision correction surgeons. He has personally performed more than 40,000 vision correction procedures to date. If you would like to learn more about SMILE laser eye surgery, please call or schedule a complimentary consultation at one of our locations in Santa Maria, Paso Robles, or San Luis Obispo today.